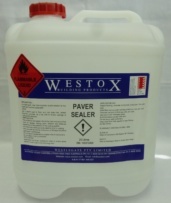 A sealer coat for floor and roof slate tiles, pebble flooring and concrete or as a top coat to acrylic coatings to reduce dirt retention. Concrete Vertical 8 – 10m2 per Litre. Horizontal 5 – 6m2 per Litre. Slate Floor and slate / Concrete Roof Tiles. 6 – 8m2 per Litre. Pebble Flooring 5 – 6m2 per Litre..